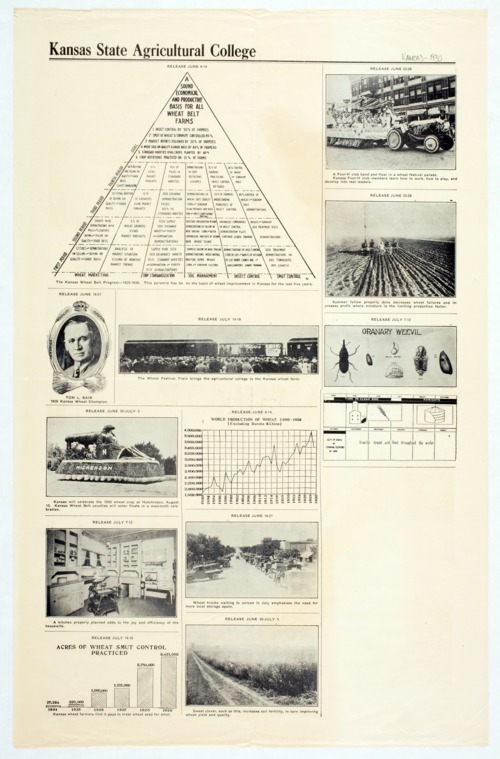 A poster showing a pyramid labeled "A sound economical and productive basis for all wheat belt farms." The poster also features a photograph of a demonstration train, parade floats, weevils, and a well kept kitchen for the house-wife. An inset photograph of Tom L. Bair, 1929 Kansas Wheat Champion is also shown.